Thomas has plenty of friends on the island of Sodor. Now Thomas and his friends have even more friends. 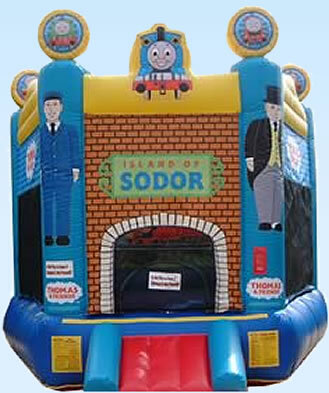 Perhaps Thomas can help the kids get to their destination…yes Thomas, thats correct, get the kids jumping so they can go to sleep early please..